Our Top Picks: The Best Xbox One Headset | OhGizmo! If you’re an Xbox One gamer, life is exciting right now. Gears 4 just came out, the Xbox One S is the perfect holiday present, Project Scorpio is waiting in the wings…and all you need is a really great gaming headset to go along with your adventures. But there’s the problem: Xbox is pretty proprietary when it comes gaming headphones. It can be tricky to find good choice, and even harder to find options that are as good as PC headsets. 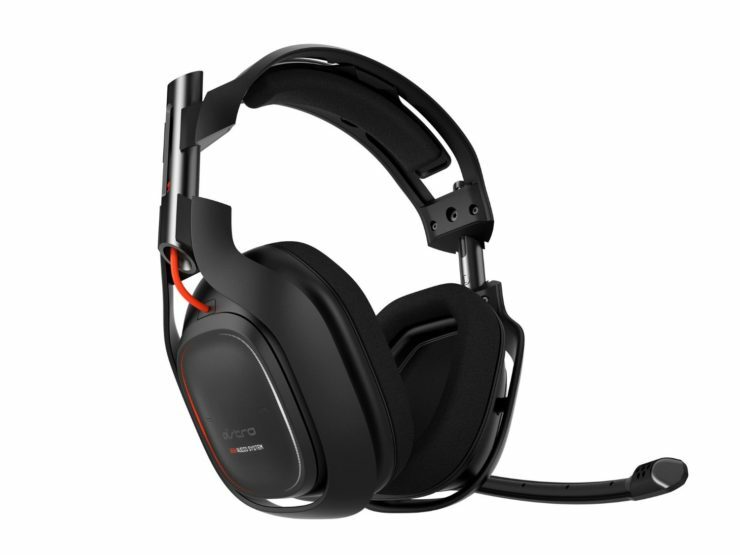 Astro’s specialization in high-end headsets has really paid off for Xbox One fans with the A50, which has some of the best low-distortion sound we’ve heard from a wireless headset, along with a pack of features smartly designed to make gaming better no matter what it is you like to do. 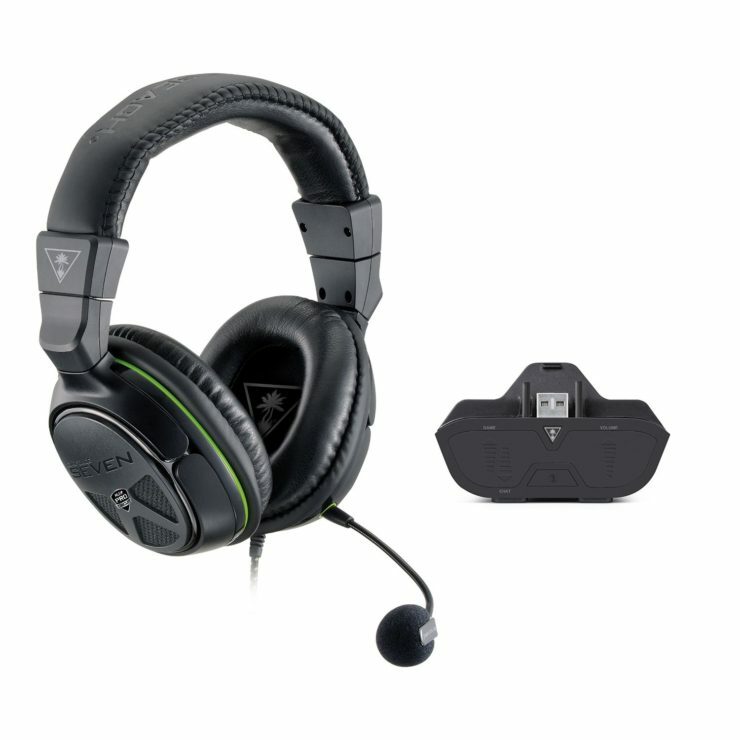 Three different sound modes all you to switch between settings for movies, shooters, and general gaming, while the flip-up mic has excellent vocal clarity and very little fuzz around the edges, all with Dolby 7.1 surround sound. The model also comes with a few Halo 5 freebies (not very important these days) and a cool Halo skin (more impressive). Battery life is around 8-10 hours. From sound to features, it’s hard to find a better pair of Xbox headphones anywhere…as long as you can afford them. We should point out, however, that with the extra-large ear cups and hefty headband, this headset does feel a bit heavier than many other models. If heavy headsets bother you or give you headaches after a while, you may prefer something a little lighter. If that’s not something you usually notice, then don’t worry about it. Not everyone can spend around $300 on a pair of Xbox One headphones, no matter how great they might be. If you want to spend a lot less cash but still get an excellent model, try out this Turtle Beach unit. It doesn’t have surround sound, but it does come with other features to make up for it, including several presets for both sound (bass, vocals, etc.) and mic (quiet rooms, loud rooms, etc.). There’s a “superhuman” mode for amplifying quiet sounds, although the 50mm neodymium drivers do fine work without the boost. Additionally, this headset has some extra-durable design features, from the nylon-wrapped cord to the sturdy headband cushioning and pullout mic, which makes it better suited for rougher environments – and people accidentally sitting on it. This powerful Turtle Beach model is somewhere between our first two picks. It comes with with DTS 7.1 surround sound, so if you have your Xbox set to DTS you may be more interested in this model. 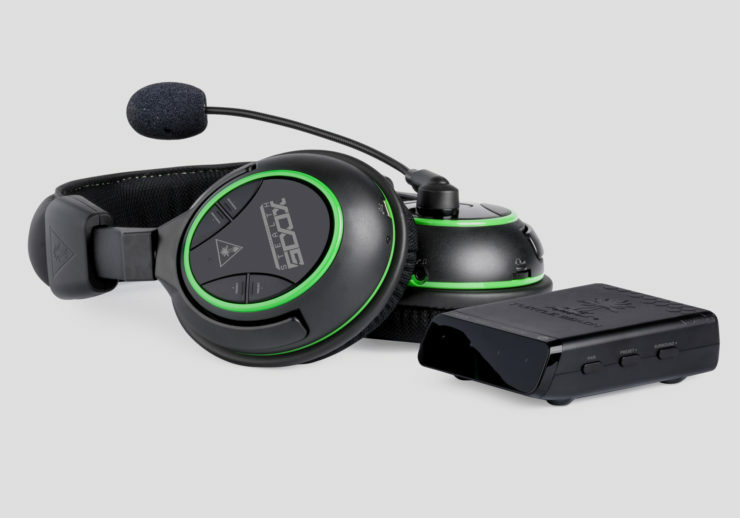 The mic features are also particularly robust with both chat boost and variable mic monitoring, so if you do a lot of talking this headset may be even more useful for you. This fully wireless (no connection to the controller necessary) headset does have genre specific audio options, and while they aren’t quiet as good as the A50 they still give you a pleasant amount of customization. Plus, they sit a little lighter on the head than the Astro model. Battery life is comparable at around 10 hours, too. If you constantly use chat, want a lighter pair of headphones or just like the Turtle Beach aesthetic, this may be your number one choice.